Corporation or individual, everybody deserves good representation. Chris Rutherford has represented corporations and individuals, providing advice and service on a wide range of issues. 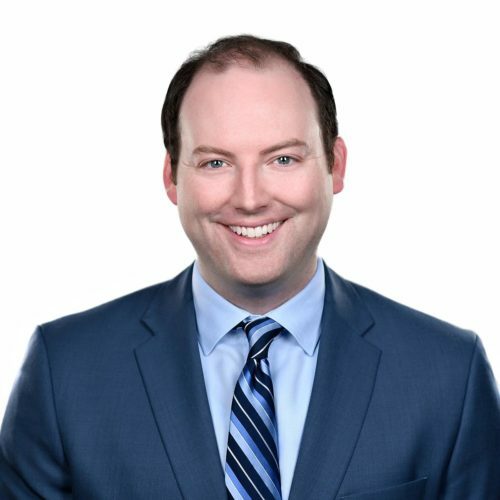 Within his employment law practice, Chris has successfully represented numerous corporations in relation to human rights applications filed by employees and clients. Chris has argued matters before the Superior and Divisional Court, and has appeared as counsel before a number of administrative tribunals and boards including the Human Rights Tribunal of Ontario, the Landlord and Tenant Board, the Ministry of Labour, the Health Professions Appeal and Review Board, the Information and Privacy Commissioner of Ontario, the Office of the Review Tribunal and the Pension Appeals Board (now known as the Social Security Tribunal). While working for institutional clients Chris has successfully defended numerous complaints to the Human Rights Tribunal. Chris skillfully advises his institutional clients on a variety of issues to allow them to focus on their core business. In his family law practice, Chris has assisted clients in negotiating and drafting marriage contracts, cohabitation agreements and separation agreements. He has also appeared frequently in Family Court, advocating his client’s interests on such issues as custody, access, property equalization, child support and spousal support. Chris is a member of the Law Society of Upper Canada and belongs to the Canadian Bar Association, Ontario Bar Association and Carleton County Law Association. Chris was awarded a lifetime achievement award in 2008 for his work in aquatics.